Why not just set up a free blog? 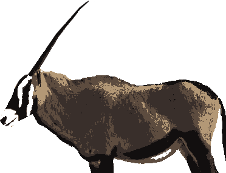 Very roughly speaking, the host’s server is where a website ‘lives.’ When I first wanted to start a blog with The Gemsbok, I did a lot of research about what a hosting service provides, and whether there are alternatives. What I found out is that, while it is possible to begin blogging without a hosting service, you will be limiting yourself in a number of key ways. There are definitely some small-scale bloggers for whom such free sites would be a good choice, but writers whose content is housed on free blogging services (e.g. Tumblr, Blogger, Wordpress.com) are limited in what they can and can not do with their websites. If you want total control over what kind of content shows up on your website, what your website looks like, and what your website’s URL address is, then you will need a hosting service. But for many writers, there is a more important problem: if you start a blog on a free platform, you will not be able to make money off of your website from any form of advertising. And even if you buy their premium service to get rid of their ads, you still can not put up your own ads on your blog without getting in trouble. So I discovered that you might as well pay for hosting instead (this can be very cheap; see the next section), and thus be able to support the website—and if you’re good at it, yourself someday—with ads or other revenue streams. Take everything in this section with a grain of salt, and do your own research. Seriously. I took the advice of a few random articles when I first set out to start a blog, and ended up regretting it. (If you want the whole story, check out this article in which I describe my past terrible hosting experience.) Besides, different sites have different hosting needs. Try to figure out what you will require. The best advice I can give you is to avoid the obvious, heavily marketed choices. Such options (e.g. GoDaddy and all of the EIG properties, such as Bluehost and HostGator) spend a lot of money on marketing, while their technical support, reliability, competence, and infrastructure are lacking by comparison. After ditching my awful old hosting service, I shopped around for hosting that would actually have good customer service at a reasonable price. I browsed forums for web developers and for web hosting, and I read tons of reviews. After discussing my difficulties with my previous host with sales and support staff at 5-10 viable options, I narrowed down my choices to my top three contenders (MDD Hosting, Veerotech, and iWF Hosting). Ultimately I was most impressed by the informed conversation, prompt responses, and consistently solid reviews of Veerotech. They made the hosting migration process a breeze, and have been enthusiastic and fast when responding to support tickets. My site is faster than ever, and I’m a very happy customer. The most surprising thing was that this much better hosting option, after applying Veerotech’s promotional offers, was about as cheap as the terrible bargain hosting I was getting from my old EIG hosting provider! Veerotech’s almost always running different promotions, and if you click here you can see what they’re offering right now. The links in this section are affiliate links, but I really do use Veerotech for this site and really do think it’s great. The blogging software I am going to recommend is completely free, from when you start a blog until forever. The software you choose will provide the primary programs and pages you use to set up and run your blog website, day-to-day. In the section above, I discussed some concerns about using Wordpress for hosting your blog. But now that we’re on the topic of blogging software, I would like to enthusiastically recommend Wordpress! Confused? So was I, at first. But now let your confusion end: I’m talking about two different things. Wordpress.com is the website that will let you run a heavily restricted free blog, and make their revenue off of ads they place on your pages. Wordpress.org is a powerful free blogging software that gives you all of the tools and structures that you will need to start a blog by running a self-hosted blog site. They are separate entities. You can head over to the Wordpress.org site, figure out the proper install location from your management panel’s file manager (after you get your hosting set up, you’ll know exactly where to find this), and download the free Wordpress software files into the relevant folders. With your hosting service and blogging software in order, all that is left is to quickly set up your Wordpress admin account. Then you have a functional blog website, all your own, ready to be launched! All that’s left is your writing and design. I hope that this article helps you start a blog, and I wish you the best of luck with all of your projects! Tagged advice, resources, start a blog, start a website, tools, Veerotech, web hosting, Wordpress, writing.